This is a new and innovative service and the post is funded by Our Place Big Lottery Fund for two years. The aim of the project is to provide support to people moving on from the criminal justice system, and work with the local community, employers and services to improve awareness and opportunities. This post will provide support through group and one-to-one work, as well as coordinating workshops, events and marketing. Building strong relationships with external agencies will be a vital part of this role in order to improve access for the client group as well as generate opportunities in the local area. We are looking for a dynamic individual with excellent communication skills and a good understanding of the barriers people with convictions face. We encourage applications from individuals who may have lived experience, such as experience of the criminal justice system and/or unemployment. You will be able to use your knowledge and experience to assist others. You will be passionate about helping people faced with social and economic disadvantage, and be able to demonstrate Cyrenians values of compassion, respect, integrity and innovation in the work that you do. The Homeless Navigator Project is a service within Cyrenians that seeks to address a visible problem with rough sleeping in Edinburgh. The project aims to offer an alternative opportunity for people who are experiencing homelessness and cannot, for whatever reason, make use of the current support services that exist in Edinburgh. The Homeless Navigator Project offers a peer support service, delivered by someone with lived experience of homelessness, for those who are rough sleeping or vulnerably housed. The Peer Worker is there to offer empathy and understanding in relation to the barriers and challenges that face individuals. When working with marginalized and vulnerable individuals, establishing trust is crucial. A peer approach works on the basis that someone who has been through it themselves is motivated by positive, caring reasons – they have been there themselves and they know how challenging it can be. The post holder will be responsible for forming relationships with individuals via street-based outreach and providing advice and support to help individuals move away from homelessness and rough sleeping. You will be required to deliver the service in a street-based setting, moving between service users on foot as part of a 2-3 hour planned route through central Edinburgh. You should have a good knowledge of local services and their access criteria, and the ability to demonstrate Cyrenians values of compassion, respect, integrity and innovation in the work that you do. We are looking for a dynamic individual to join our team to lead on digital communications for the charity. The aim of the role is to increase our brand reach and recognition to add to the number of people who know about Cyrenians, what we stand for, and choose to support our work. This role will also support efforts to increase donations via on-line fundraising campaigns. You will be highly organised, at ease working within a busy working environment, and have the ability to multitask and prioritise effectively to meet deadlines. You should have a creative approach, excellent communication skills, an eye for detail, and confidence to work across a range of platforms. The ideal candidate will be passionate about digital communications, be motivated by our cause and have the ability to demonstrate Cyrenians values of compassion, respect, integrity and innovation in the work that you do. Cyrenians Farm, at Kirknewton is a working organic farm producing local fruit, vegetables and eggs, and is also home to a community of vulnerable young people, many with backgrounds of homelessness. Cyrenians also runs a Good Food Programme in Edinburgh which is home to several food related services including FareShare Central and South East Scotland which collects excess food form local outlets and redistributes to other organisations working with people in need and Food Education services offering cooking classes and creating clubs alleviating isolation and loneliness. Working with the Head of Enterprise and the Farm team, this role will oversee the Farm operation including the implementation of new initiatives in the growth plan. These tasks include promoting the enterprise and the Good Food Programme, developing effective marketing and communications with the support of the central team, manage the Farm facility ensuring maintenance within Health and Safety requirements, manage the Farm team of staff and volunteers to deliver operationally and ensure compliance with all legislative requirements. You should also be an effective team player, with excellent organisations skills and business experience in the food sector. You will be trustworthy and responsible, and able to demonstrate Cyrenians values of compassion, respect, integrity and innovation in the work that you do. Cyrenians runs the Central and South East Scotland branch of FareShare. FareShare is the UK’s largest charity fighting hunger and food waste through the redistribution of surplus food to frontline charities and community groups. 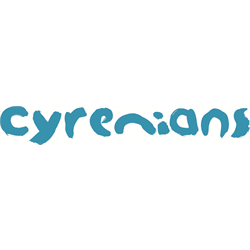 Cyrenians has received funding from Scottish Government to trial the delivery of a pantries (a ‘pop up shop’) within 8 established Community Cooks over a 6 month period. The people accessing the clubs are usually experiencing food poverty and have a range of support needs. We will work with the Community Groups to implement a pantry system; delivering a wide range of healthy food (including fresh options) and offering these to members. Membership will be made available to the Cook Club attendees. We estimate that 15-30 people per Club would access the pantry so this should have a reach of 120-240 over the pilot period. We are looking for a dynamic and highly motivated Pantry Coordinator to lead on developing and delivering the pantry model. You should have excellent communication skills and the confidence to work with people from a wide range of backgrounds. You should also be well organised with the ability to cope with competing demands, be an effective team player, and be able to demonstrate Cyrenians values of compassion, respect, integrity and innovation in the work that you do. As a FareShare Depot Driver and operative for FareShare Central and South East Scotland you will collect and deliver food from and to our food partners across Edinburgh, Central and South East Scotland. You will also deliver food from our Regional Centre based at Jane Street, Leith, to our community organisations and charity members within Edinburgh, Central and South East Scotland. This is more than a driving job, you will also be the face of FareShare, being a regular point of contact with our local food partners and the charities receiving food. In addition, you will also supervise volunteers who join you as van assistants. We are looking for a confident driver, with a positive approach and excellent communication skills. You should also be a reliable and effective team player, and be able to demonstrate Cyrenians values of compassion, respect, integrity and innovation in the work that you do. Cyrenians Communities provide a safe and stable environment for people to live, learn and develop together. Our unique approach to supported accommodation helps people to develop their skills through ongoing support and opportunities for personal development, enabling them to live more independently from support. We are seeking a highly committed and experienced Key Worker to join our team working in our new accommodation project based in the Leith area of Edinburgh. The project accommodates and supports 4 people recovering from a period of poor mental health, supporting them to one day be able to live more independently. You will be skilled at working with people in a small team environment, and be able to build excellent working relationships. You should also be positive, creative and flexible in delivering support; and have the ability to demonstrate Cyrenians values of compassion, respect, integrity and innovation in the work that you do. The service operates on a rolling shift rota, including evenings weekends and being part of an on call responder service. Cyrenians manages the prison visitors’ centre at HMP Addiewell. The centre provides advice and support to families affected by imprisonment. We offer a safe space, a listening ear, and activities for children. We also engage in health promotion activities and work in partnership with NHS Lothian. We are looking for a dynamic individual with experience of working with disadvantaged or vulnerable groups to join our team. You should have the ability to quickly build excellent working relationships, and be confident working independently and as part of a small team. You will also bring a creative approach to problem solving, and the ability to demonstrate our values of compassion, respect, integrity and innovation in the work that you do. This post will be offered on a fixed term basis for one year to provide maternity cover. Cyrenians Crighton Place Community, provides 24 hour supported accommodation for 4 people who experience severe and enduring mental health issues. The purpose is to provide a safe and stable community environment for people to live, learn and develop together. Our unique approach to supported accommodation helps people to develop their skills through volunteering opportunities, training and ongoing support. This role involves evening and weekend work, including sleepovers as part of a rolling rota. There may also be involvement in an on-call responder service. Assistant Keyworkers will help with the key working, medication administration and support provision for the residents, communicating with external agencies for further support. Alongside these, you will work to ensure that Cyrenians Community model is adhered to and developed; and that the quality of service remains high. We are looking for organised and passionate individuals who are aware of the challenges that our residents may face. You will have experience of working with people, excellent communication skills, and a creative approach to problem solving. You will also have the ability to demonstrate Cyrenians values of compassion, respect, integrity and innovation in the work that you do.